Members of the Illinois Coroners and Medical Examiners Association today presented their “Legislator of the Year” award for 2017 to State Representative Dan Brady, a former McLean County Coroner. 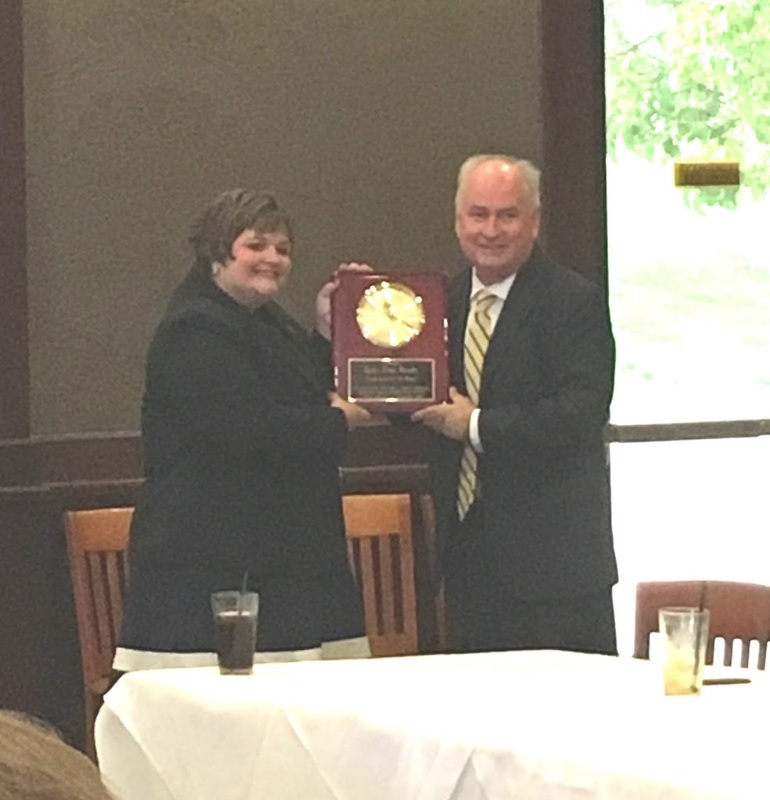 The award was presented by the President of the Association, Amy Winans, Christian County Coroner, at a Coroners’ meeting at Biaggi’s Restaurant in Bloomington. Representative Brady has been Chief Sponsor of several pieces of legislation that directly impact the operations of coroners’ and medical examiners offices across the State of Illinois, as well as the operations of Gift of Hope Organ and Tissue Donor Network. Legislation included creating electronic filing of Death Certificates in Illinois as well as changes to the coroner inquest system, cremation permits processing, and legislation that directs funding for forensic equipment for coroners and medical examiners. The new Coroners Training and Standards Board, which is the new certification program for coroners throughout Illinois, was also recent legislation sponsored by Representative Brady. In addition, Representative Brady was Chief Co-Sponsor during this session of House Bill 1805 which allows 16- and-17 year olds to donate organs and tissue with the consent of their parents or guardians. H. B. 1805 was supported by Gift of Hope, the Illinois Secretary of State, and the Illinois Coroners and Medical Examiners Association.